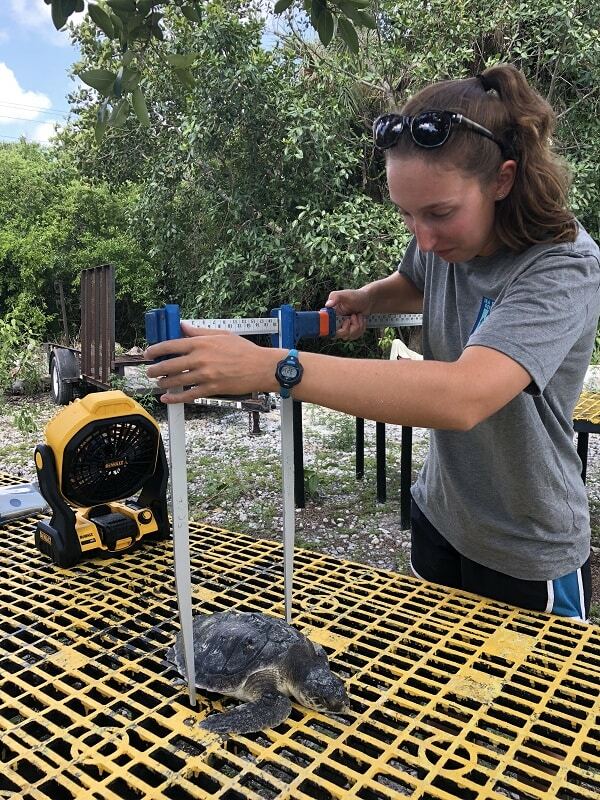 Since the beginning of the current red tide bloom in October 2017, 91 sea turtles have been found stranded on the beaches or in waters surrounding Sanibel and Captiva; 58 were dead and 33 were found alive and taken to CROW for treatment. The continuous 10 month red tide has impacted an unprecedented number of sea turtles. Over 50 have stranded on Sanibel and Captiva this June and July alone. 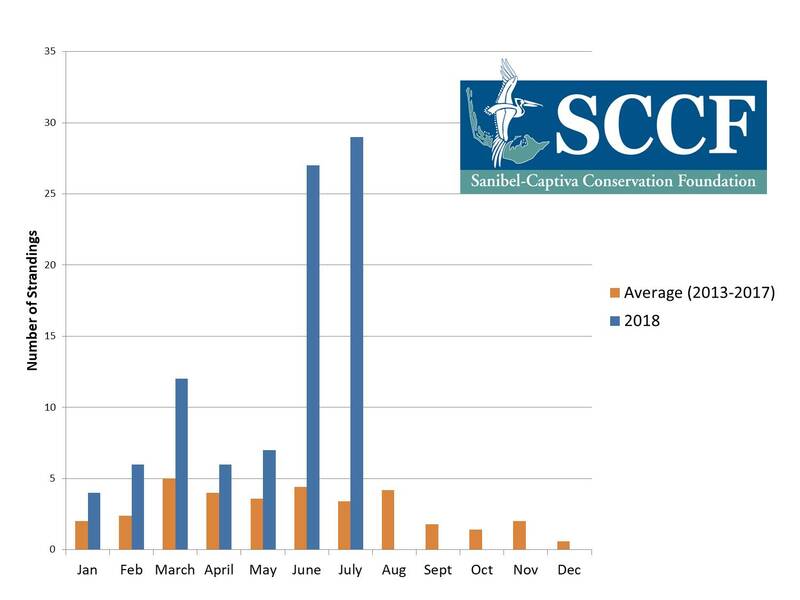 Of the 91 strandings since October, 53 have been mature adults, representing a significant impact on a recovering population of animals where only one in 1,000 hatchlings survive to reach reproductive maturity at around 25-30 years of age. Nineteen of these turtles (9 of which have washed up in the third week of July) have been the critically endangered Kemp's Ridley sea turtle, a rare sighting on area beaches. With help from the SCCF Marine Lab's Dr. Rick Bartleson we are collecting samples of tissues and gut contents from stranded sea turtles to be tested for brevetoxins (neurotoxins produced by the alga Karenia brevis). Since May 29, 24 turtles have been sampled in an effort to understand how these algal blooms affect sea turtles. The current red tide causing this mass mortality event is the longest continuous bloom since 2006 when an algal bloom lasted over one year. These blooms start in the Gulf but are fed and perpetuated by harmfully high nutrients in the water washing into the Gulf from land. The single most important change we can fight to improve these conditions is strengthening water quality standards. Make water quality part of our daily dialogue and this election year. Elevate the issue of water quality; ask candidates if they support stronger water quality standards and what specifically they will do to raise standards to clean water and represent the public's interests. Examine our own actions in fertilizer use in our yards and gardens. Plant native landscapes to reduce/eliminate fertilizer use and enhance filtering of rainfall. Require Advanced Wastewater Treatment to remove nutrients from reuse water systems.